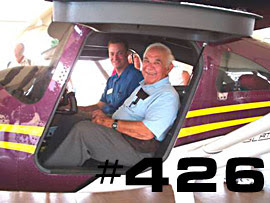 At 78.5 years young, Fresno pilot John Pugliese has amassed 7,000 hours in a pilot career that has included ownership of a Fairchild PT-23, a Cessna 120 and his current bird, a 1952 Cessna 170. After a heart attack in the early '90s, Pugliese must now undergo additional scrutiny each time he is re-issued a third-class medical card. And while he is blessed with enough good health today to fly with an FAA medical card, he knows that may not be the case forever. "I'm hoping that Cessna can deliver my Skycatcher before the day comes when the medical card cannot be re-issued." Sport Pilot licensing rules require either a third-class FAA medical certificate or a current and valid U.S. driver’s license as evidence of medical eligibility (provided the individual's most recent application for an FAA medical certificate was not denied, revoked, suspended or withdrawn). So as long as a pilot can move into an LSA before he/she is denied, all is well and good. However, once "the man" takes that card away, it'll take an act of Congress to get them to allow use of that driver's license in lieu of the medical card. "The main thing was the hydraulic brakes. I'm an old taildragger driver from way back, and sometimes you have to almost lock up one wheel to keep things straight. And nothing against Rotax, but I like that Cessna is putting Continentals in the Skycatcher, since it will be easy to find service coast-to-coast on that engine. I also like that parts will be available through an established Cessna dealer network, and at about five feet tall, I'm happy the Skycatcher's rudder pedals are adjustable. The plane fits me fine, and is really a great looking airplane!" As a successful businessman, Pugliese knows that the $109,000 base price will climb before delivery day. A clause in the Cessna contract allows for cost of living increases and with California sales tax that he says is a staggering nine percent, John expects the Skycatcher to come in at around $140,000 without wheel pants or a ballistic chute. He expects that by the time Cessna delivers the 162, the Garmin G300 panel will change for the better, as avionics always do. 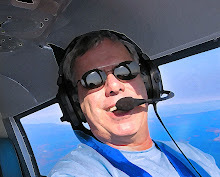 Bottom line: John Pugliese is one of those older pilots we all love...nice as can be, true to his fellow pilots, and always willing to take a young kid flying to spark their internal fires. When he gets the Skycatcher, it'll make a perfect platform to serve his mission profile, which is to poke holes in the sky while converting fossilized dinosaurs into altitude to chase down the elusive airport hamburger.